When it comes to one liners in action movies, no one can compete with the Governator, Arnold Schwarzenegger. In honour of his awesomeness, and to celebrate his 66th birthday today, I’ve compiled the very best of his puns, wordplays, and wisecracks. I couldn’t narrow them down to ten, so here are his fourteen greatest efforts. Get in the chopper, strap yourself in, and enjoy. Eraser is a film that doesn’t immediately jump to mind when thinking of Arnie greats, but it certainly follows the usual format: action, some mandatory muscle shots, and of course, classic one liners such as this one. 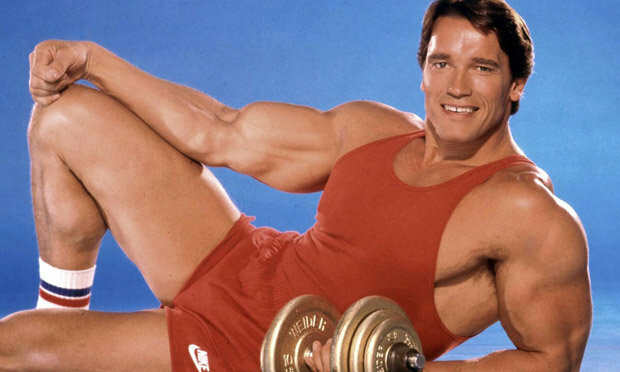 Commando is without peer for classic Arnie one liners, and features heavily in this list. As a retired Black Ops Commando, Arnie is faced by a green beret called Cooke who is keen for a fight and a little trash talk. A mistake on both counts. The climax of this action comedy finds Arnie in the cockpit of a fighter jet, a terrorist hanging precariously from one of the jet’s missiles. There’s only one thing that could possibly happen in this situation: a one liner! If you enjoyed that post, check out some more Movie posts here.